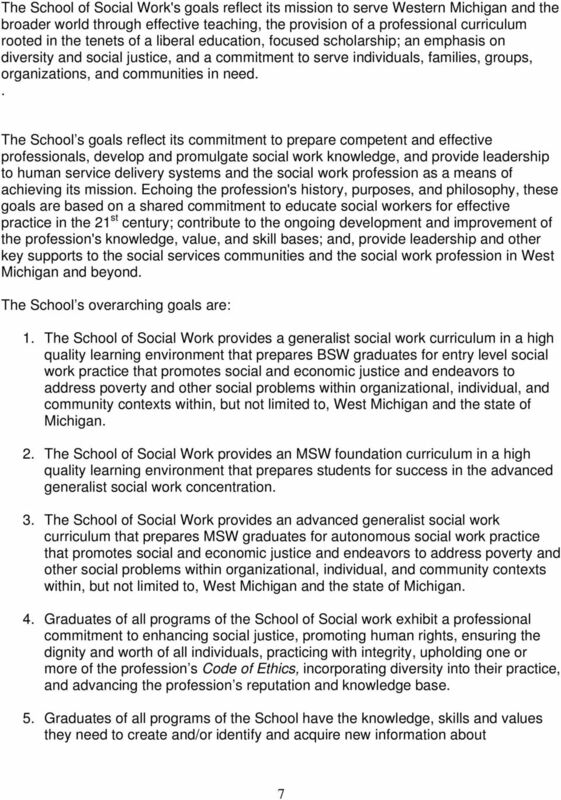 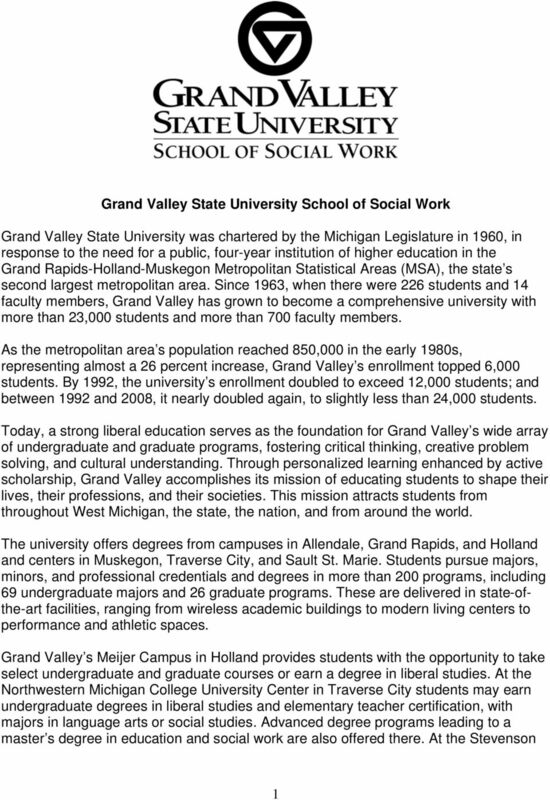 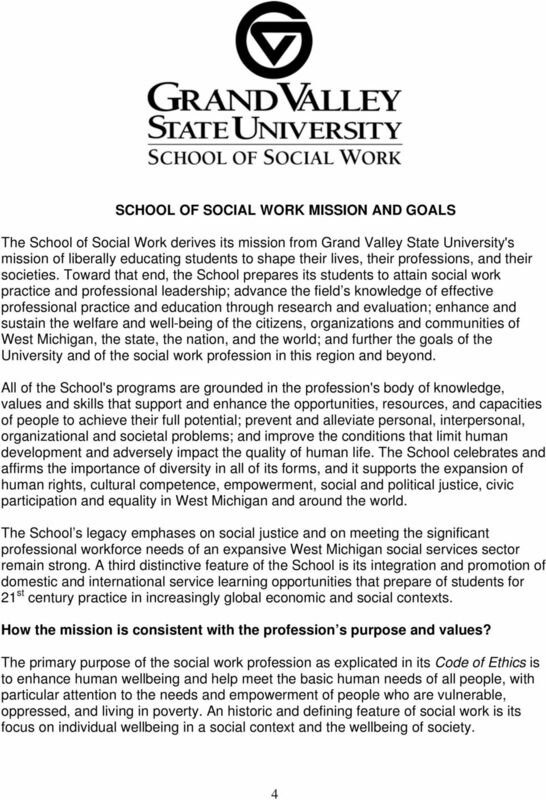 Download "Grand Valley State University School of Social Work"
Strategic Plan 2010-2015 for GVSU Student Academic Success Center Mission of the University: Grand Valley State University educates students to shape their lives, their professions, and their societies. 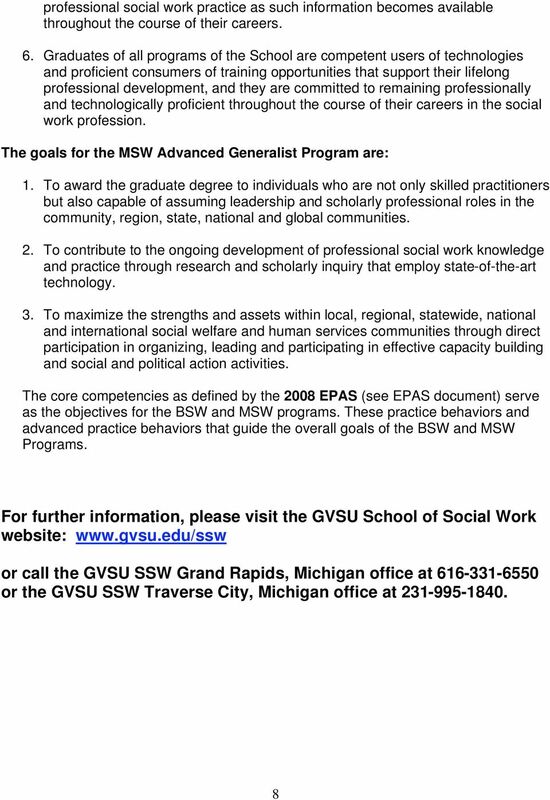 ACADEMIC AFFAIRS 2000-2001 ARIZONA MASTER LIST OF STATE GOVERNMENT PROGRAMS. 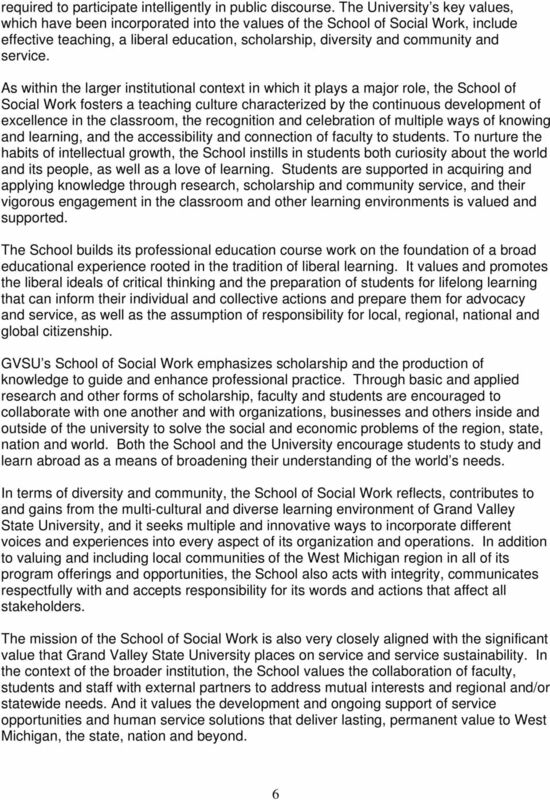 To enrich the texture of undergraduate education.